Last month I blogged about two different ways to wear a short kameez featuring my sister and an outfit we reinvented by pairing her short kameez with a new lengha. This month I finally got the chance to wear my new short kameez outfit re-invention. 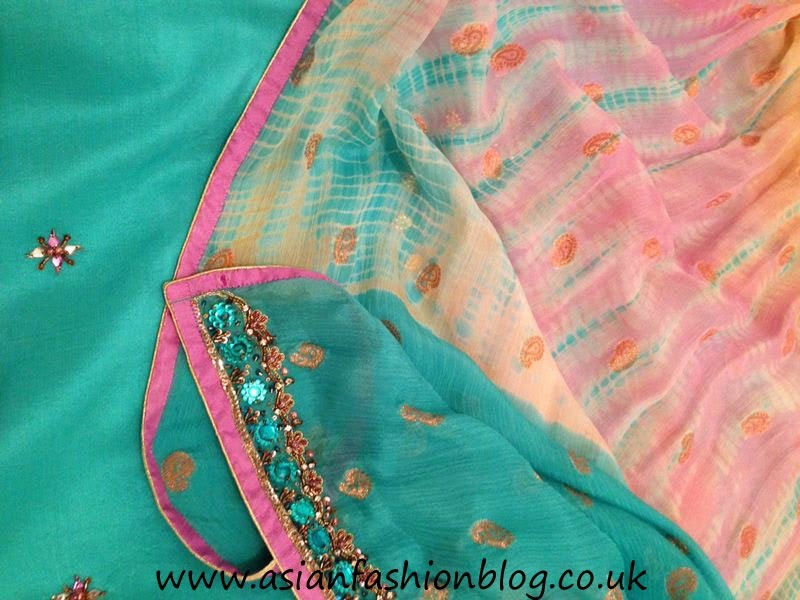 It came with plain churidar bottoms in the same shade of blue and the dupatta had a tie-dye effect. 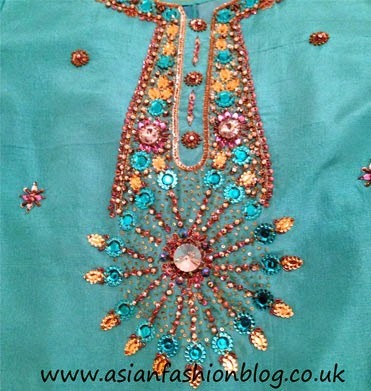 You've probably seen a lot of asian outfits with jacket-style tops - it's a look which has caught my eye a lot lately! But another similar trend which you may not have seen so often are cape-style asian outfits. Here are some of my stand-out caped asian outfits! 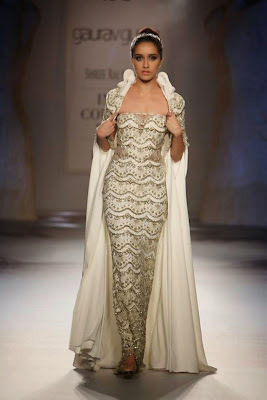 Worn by here by Shradha Kapoor, this dress was the final outfit at Gaurav Gupta's 2014 Indian Couture Week Show. The dress on its own would have looked great, but add the matching cape, with just the right amount of embroidery around the shoulders and this looks regal! 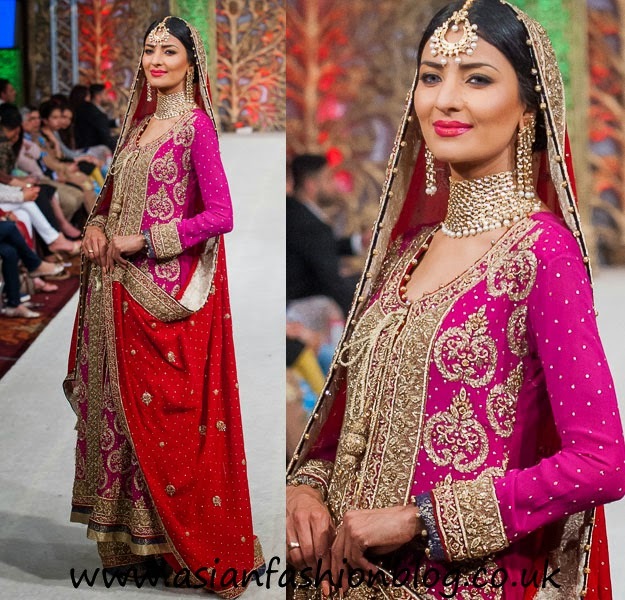 Continuing with my coverage of the Pakistan Fashion Week 6 show in London, here are some of the outfits which caught my eye from the collection Naushemian by Nauman Arfeen. Pairing red with pink is a bit of an unusual combination, and one which is very easy to get wrong if you don't have the exact shades and balance just right! This bridal outfit, I think manages to pull it off. I really like the jewellery it's been styled with too, I've not seen many bride's wearing choker necklaces like this. Read on to see more from this collection.